Value drives business success. The premier companies are those that provide distinctive value. The more value delivered to the customer, the more value is typically returned (in the form of revenue, profits, loyalty, etc.) to the provider. The management mandate seems clear: Find ways to create more customer value than your competitors. Yet value creation as a strategic objective is rarely mentioned in the A/E industry. We prefer concepts like quality, expertise, and experience. Unfortunately, these assets generally don't differentiate us; they are expected by our clients. Added value, by contrast, differentiates. Has your firm made value creation a strategic priority? If not, let me encourage you to give the matter serious consideration. So what is value? A good working definition is: Value is the perceived benefit received minus the associated cost. 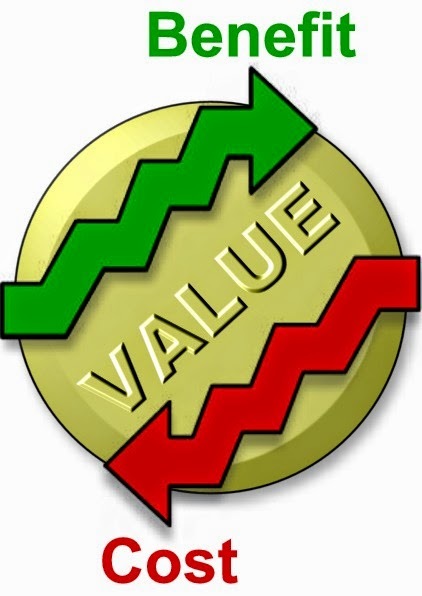 Added value, then, is when the client receives more benefit for the cost than was expected. Value is a personal and subjective concept that exists in the customer's mind (if you need proof, consider some of the items that people will pay good money for on eBay!). Value cannot be adequately quantified monetarily; purchase price is a helpful but incomplete measure of value. Nor should we presume what any given client values; we must uncover it. Since value exists in the mind, it is delivered in both tangible and intangible forms. Thus the client may value that your firm is easy to work with as much as the quality of your work products. With these principles in mind, let's consider what my research indicates are the three most common value-adding strategies. These are not specific to our industry, but they are all certainly relevant to us. 1. Satisfy unmet or emerging needs. This is the classic sweet spot in the product/service life cycle. When you are among the few firms (or the only firm) that can meet a client's specific need, the solution you deliver is inevitably of high value. Yet supply and demand are only part of the value equation. One study of professional firms found that the less the client understands the problem, the more valuable the solution. Getting involved early in helping clients solve emerging, unfamiliar problems is a clear opportunity to provide higher value—and reap the greater profit and client loyalty that comes with it. Among the three value-adding strategies, this is easily the one most commonly pursued by A/E firms. No doubt your firm has periodically added new services to address emerging markets less populated by your competitors. Unfortunately, this strategy is typically short-lived. As the need becomes better known, more firms move to meet it. With more choices of providers, the perceived value (and the profit) declines. A/E firms are also routinely slow to respond to emerging opportunities. By the time most invest in new services, their competitors usually already know about it and are doing the same. 2. Meet clients' strategic needs. Strategic needs are those that affect the overall success of the client's organization. They commonly relate to financial, competitive, political, or operational factors. Given the critical nature of strategic needs, clients are usually willing to pay a premium for good solutions. That's one reason, I'm convinced, why other professional service firms demand higher multipliers than we do—they do a better job meeting strategic needs. A/E firms once played a much larger role in this arena, but we have forfeited many of the high value, strategic services to other professionals like management consulting firms. The role of "trusted advisor" is at the heart of meeting strategic needs. Many A/E firms find themselves merely filling orders for design services rather than helping clients define their needs and choose the optimum course of action. We are often focused to a fault on doing what we do best, unable to connect our work to the strategic needs that drive our projects. 3. Provide distinct, valued customer experiences. This is the fundamental asset at the core of what is called the Experience Economy. Businesses that command the highest profits these days usually have tapped into the value of offering superior customer experiences. Consider the entertainment industry (including spectator sports), theme parks, adventure travel. Consider how the "Starbucks Experience" multiplied the value of a commodity like coffee. A five-star restaurant is defined as much by its ambiance and service as by the quality of its food. Among the three value-adding strategies, I think this one holds the greatest promise for our industry—as I've written about in this space. While A/E firms routinely claim to provide "great service" (i.e., great client experiences), rare is the firm that has embraced this strategy as a management priority. That oversight is your advantage. For an overview of effective client service practices that enhance the value of your services, check out this previous post.